Today Rare Violins of New York launched In Consortium, founded specifically to provide a platform for benefactors and artists to collaborate on instrument loans and related projects. In Consortium has the infrastructure in place to allow benefactors an effortless interaction with artists. All related details, including insurance, maintenance, and support is provided to the benefactor. By loaning fine instruments to musicians, benefactors are provided with a way to reduce their cost of ownership, allowing for greater profit margins. With philanthropic and economic incentives, In Consortium is inspiring investors in fine instruments to become benefactors. At the launch reception and press event, we presented the concept of our collaborative, and announced the first group of instruments in the program. 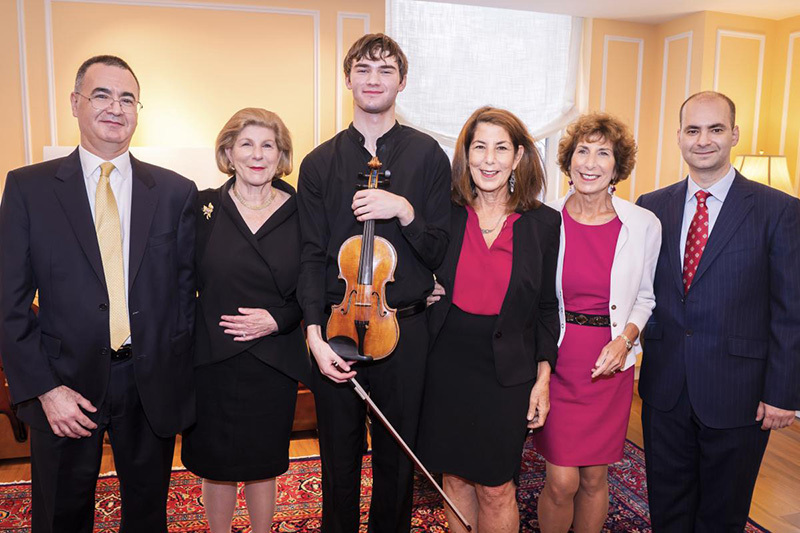 Part of our launch event included the announcement of the loan of the 1734 Antonio Stradivari "Ames, Totenberg" to Nathan Meltzer.